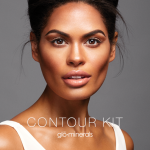 « Contour & Highlight Happy Hour! Maxcara is a revolutionary eyelash coating that gives you three weeks of your own long, lush eyelashes! Imagine waking up with makeup!! Maxcara is 100% smudge proof & waterproof. Say goodbye to having to deal with applying-and then removing (ugh) your mascara every…single…day. Perfect for vacations, holidays, special events, work-outs, brides, any anyone not ready for eyelash extensions. Schedule your appointment now at the introductory price of just $45.